Located in Pescara, I Gemelli B&B Holiday House is within a 10-minute drive of Gabriele D'Annunzio House and Cathedral of Saint Cetteus. This apartment is 1.5 mi (2.5 km) from Pescara Beach and 1.5 mi (2.5 km) from Teatro Circus. Don't miss out on the many recreational opportunities, including a spa tub, a sauna, and a fitness center. Additional amenities at this country house include complimentary wireless Internet access and tour/ticket assistance. Getting to nearby attractions is a breeze with the area shuttle (surcharge). Located in Pescara, Hotel Regent is within a 15-minute walk of Pescara Harbor and Pescara Beach. 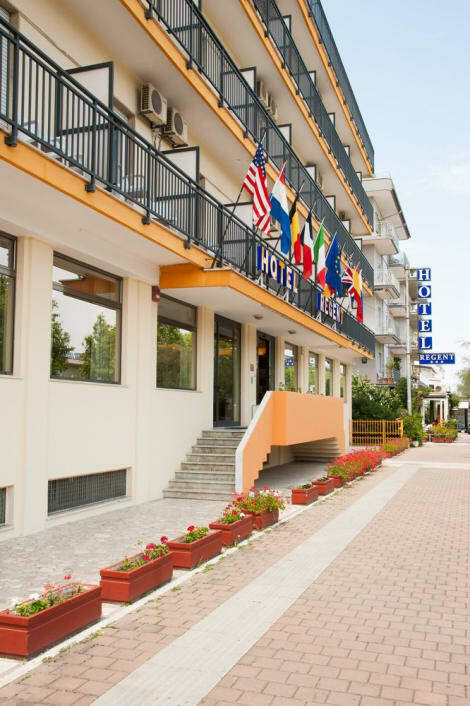 This hotel is 0.8 mi (1.2 km) from Provincial Nature Reserve Pineta Dannunziana and 0.9 mi (1.5 km) from D'Annunzio University – Pescara. With a stay at Parc Hotel Villa Immacolata in Pescara, you'll be within a 15-minute drive of Francavilla al Mare Beach and D'Annunzio University – Pescara. This family-friendly hotel is 4 mi (6.5 km) from Provincial Nature Reserve Pineta Dannunziana and 4.3 mi (6.9 km) from Cathedral of Saint Cetteus. Take advantage of the guesthouse's room service (during limited hours). Mingle with other guests at the complimentary reception, held daily. Buffet breakfasts are available daily from 7 AM to 10 AM for a fee. When you stay at B&B Hotel Pescara in Pescara, you'll be near the airport, within a 10-minute walk of Teatro Circus and Gabriele D'Annunzio House. This hotel is 0.7 mi (1.2 km) from Cathedral of Saint Cetteus and 0.9 mi (1.5 km) from Museum of Modern Art Vittoria Colonna. At Hotel Bellariva, enjoy a satisfying meal at the restaurant. A complimentary breakfast is included. Located in Pescara (Pescara Coast), Villa Letizia is convenient to Provincial Nature Reserve Pineta Dannunziana and Pescara Harbor. This bed & breakfast is within close proximity of Cathedral of Saint Cetteus and Gabriele D'Annunzio House.Rooms Stay in one of the guestrooms featuring LCD televisions. Digital television is provided for your entertainment. Private bathrooms with showers feature complimentary toiletries and hair dryers.Amenities Take advantage of recreation opportunities such as a seasonal outdoor pool or take in the view from a terrace and a garden. Getting to nearby attractions is a breeze with the area shuttle (surcharge).Dining A complimentary buffet breakfast is served daily.Business, Other Amenities A roundtrip airport shuttle is provided for a surcharge (available 24 hours), and free self parking is available onsite. Make yourself at home in one of the 61 air-conditioned rooms featuring minibars. Private bathrooms with showers feature complimentary toiletries and bidets. Conveniences include phones, as well as laptop-compatible safes and desks. Make yourself at home in one of the 51 air-conditioned rooms featuring flat-screen televisions. Rooms have private balconies. Complimentary wireless Internet access keeps you connected, and digital programming is available for your entertainment. Private bathrooms with showers feature complimentary toiletries and hair dryers. lastminute.com has a fantastic range of hotels in Pescara, with everything from cheap hotels to luxurious five star accommodation available. We like to live up to our last minute name so remember you can book any one of our excellent Pescara hotels up until midnight and stay the same night.